Es Racó d’es Teix is Deià’s only restaurant with Michelin-starred cuisine, prepared by the wonderful German chef/patron Josef Sauerschell. 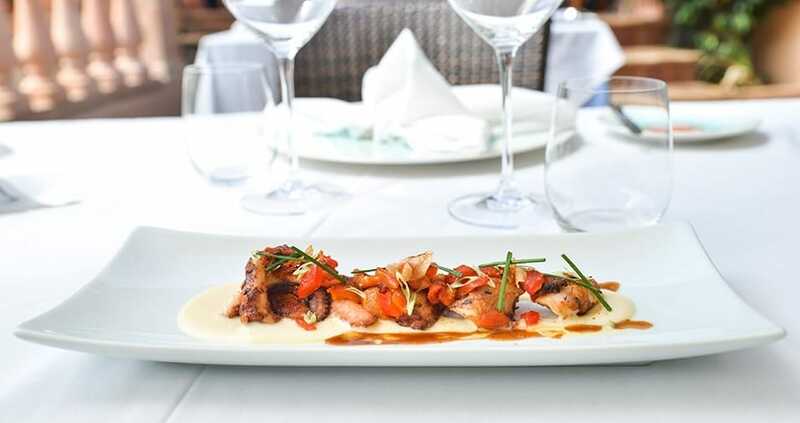 With his love of local ingredients and the traditional cuisine of the island, he could be an honorary Mallorcan. 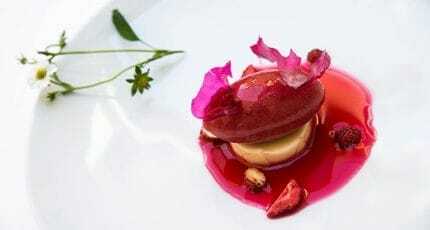 Authenticity, gastronomic innovation, and respect for the produce he uses are evident in his cooking. 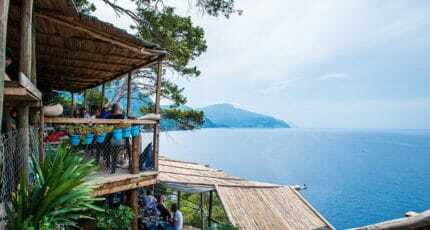 The romantic restaurant took its name from its hideaway location, along a steep lane on the edge of the village: racó is the Mallorcan word for ‘corner’ or ‘nook’; Teix is the mountain that feels like a mighty protective presence over the village. 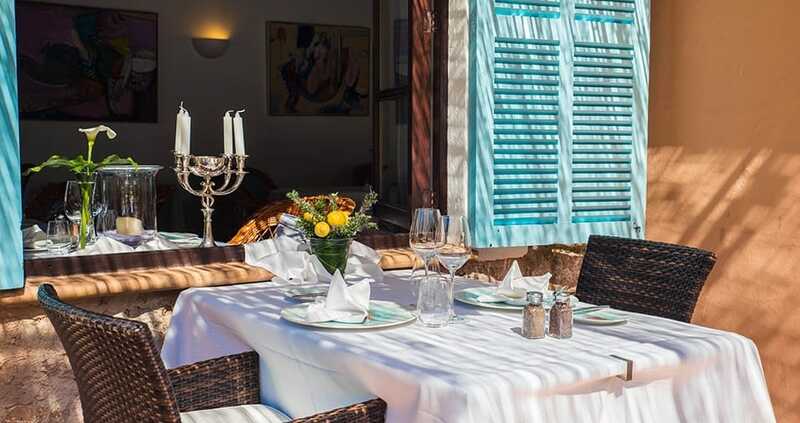 The romantic interior has comfortable wicker chairs, colourful local art, and a cosy mezzanine floor. 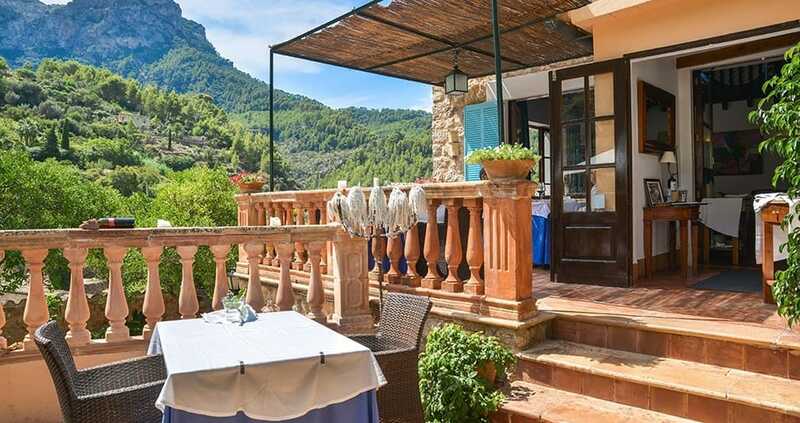 In summer, soak up spectacular views of the village and Teix mountain from the large terrace, as you indulge in Mallorcan/Mediterranean cuisine and wine (Mallorcan, national, and international) from an impressively long list. 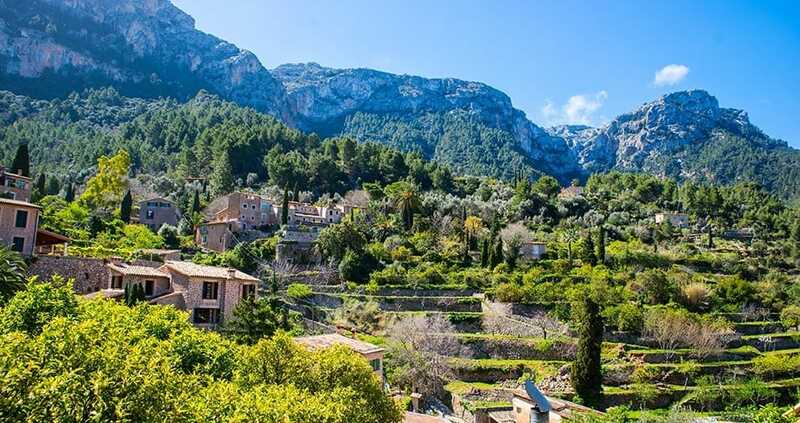 Josef is, of course, in the kitchen – where he creates honest, flavourful and delicious Mallorcan influenced Mediterranean cuisine that makes the most of high-quality fresh produce from the surrounding area. 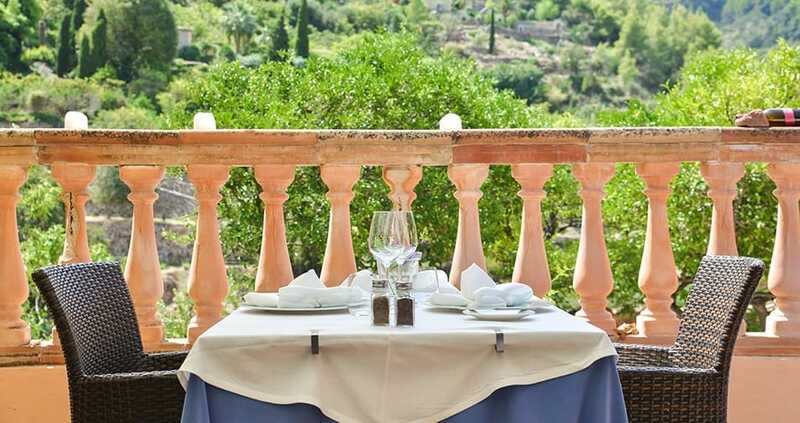 The fish tastes of the Mediterranean and the flavour of the lamb is evocative of the Tramuntana mountains. Because Josef uses high-quality produce, he allows the main ingredient to shine as the star of each dish, which has clearly definable flavours. 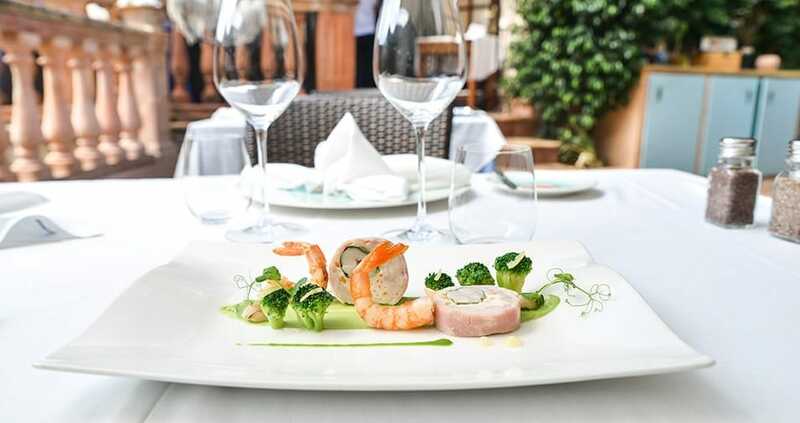 À la carte dishes such as whole sea bass on wild fennel for two and rack of lamb with olive crust are wonderful in flavour and style, elegantly presented on the plate. Desserts are irresistible. 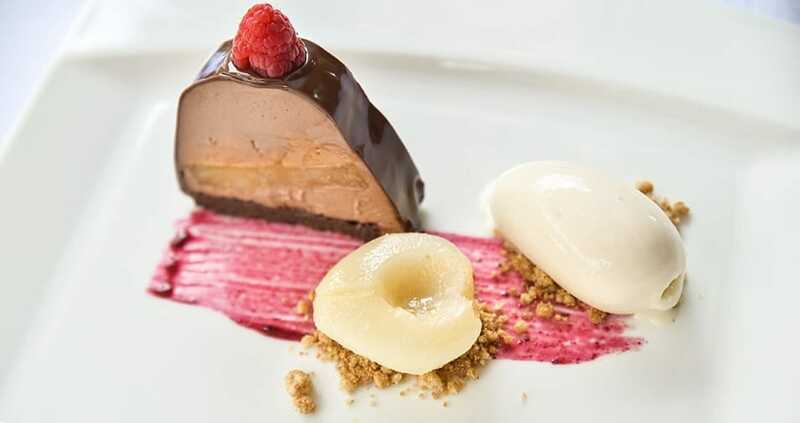 As well as the à la carte menu, there’s a three-course set lunch and, at night, an excellent tasting menu. Amuse-bouches are miniature works of art; good bread comes with butter and a choice of five ‘Oli de Mallorca’ authentic island olive oils. Es Racó d’es Teix is for those who appreciate gastronomy, professional but warm service, and a superb choice of carefully selected wines. 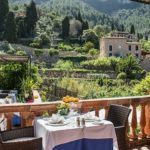 “Our clients are surprised not only by our setting, hidden away in the village of Deià and with spectacular views, but also by the high level of cuisine and service,” says Leonor. Although this restaurant is not easy to get to, it is well worth the effort. 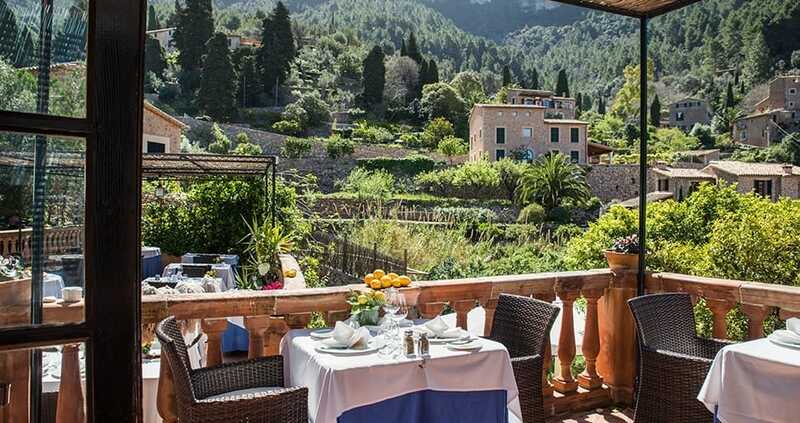 We hope you have found this article about the Restaurant Es Racó d’es Teix, Deià useful and that you have many memorable stays in Mallorca as a result of our recommendations.